Today my friends is a big day. We got two advance copies of our book in the mail from Princeton Architectural Press, one for me and one for Cortney. This is the first time that we have held or seen the book in physical form. When I saw the UPS truck pull up I almost puked, it's true. We also got news as of today that the book is doing so well with pre-sales that there will be a second edition printed already! Thanks everyone. We are so looking forward to getting our book tour all scheduled and sharing this project with you! That's all you get for now. More news soon! Silent Art Auction = Success! We are home from Los Angeles in one piece, 46 pieces of art lighter! The event was a huge success and there will be more details to come soon. I just need a day or two to recoup! 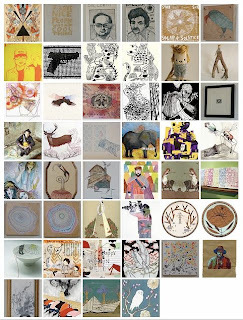 Silent art auction this Saturday! Click HERE for detailed information! "I think I’m so drawn to hand-made type (and hand-made anything) because it really points towards a spirit of individualism that seems to be fading fast as an important characteristic in our society." 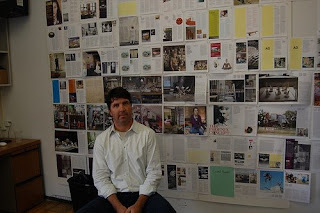 Andrew Wagner is the Editor in Chief of the newly designed American Craft Magazine. I have had the pleasure of spending time with him on trips to New York and even got a chance to interview him for Handmade Nation last Fall (pictured left). He also wrote the introduction to our book- needless to say, I am a fan. Andrew is the guest blogger over at Design*Sponge this week. You should take some time to read his posts because he has a fantastic eye and is a true lover of beautiful, interesting, innovative work. 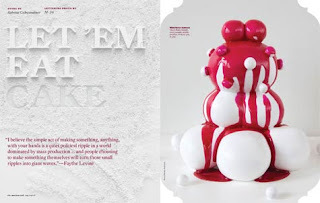 I am especially fond of the entry about the handmade typography in recent American Craft issues. So amazing. 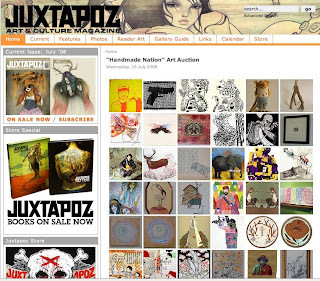 Included in his post is this page from the upcoming August/September 2008 issue, and I was pretty surprised to see my quote used on the main page (super small on the left bottom corner), how exciting! Off to Los Angeles tomorrow morning. Flying with a crew of 5 (including me), I've never done that... too bad we will all be catching up on our sleep instead of hanging out in the air. getting. This event is going to be great, the only heartbreaking thing is I can't bid on any of the art and there is SO much amazing work. Renegade Craft Fair in San Francisco was a huge hit. The space was amazing, fantastic turn out and the band that played was super! Tons more photos on our flickr account! See you in Los Angeles next week! 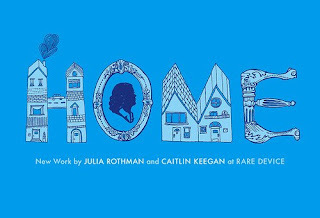 Check out the great article in the LA Times about the documentary, book & art auction fundraiser this upcoming weekend! OH! I almost forgot to mention that the Look Book for the Silent Art Auction Fundraiser happening next weekend in Los Angeles is up! This weekend is San Francisco time! Find me & say hi! 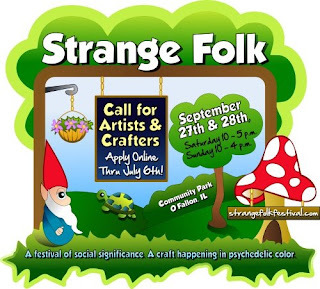 Applications for the 3rd annual Strange Folk Festival are being accepted at strangefolkfestival.com now thru July 6th! 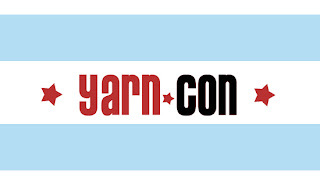 Our 2008 show will be September 27th and 28th, Saturday 10 a.m. - 5 p.m. and Sunday 10 a.m. - 4 p.m.
YarnCon is Chicago's own yarn-centric exhibition -- a place to promote, sell, and celebrate the yarny arts. We are two Chicago knitters and otherwise crafty gals who love supporting local artists and businesses. In the last couple of years, we found ourselves seeking out local producers of yarn and other supplies to feed our growing habit and simultaneously satisfy our desire to promote the local economy. In the course of our day-trips to fabled spinning supply shops and meeting friends of friends with alpacas, we had an idea: to bring these producers, crafty folk, and other fiber fiends together under one roof in the heart of the city. And so YarnCon was conceived. Inspired in part by fantastic local shows like the DIY Trunk Show, Renegade Craft Fair, and DEPART-ment, YarnCon aims to be the premier market for independent producers of yarn, knitted/crocheted objects, fiber for spinning, tools, gadgets, books, patterns, instructions, and gifts related to spinning, knitting, crochet, and weaving. Whether you're buying, selling, or just want to come hang out and knit, crochet, or spin in a great Chicago park fieldhouse for the day, YarnCon has your number. Come by and check out the goings-on on October 4, 2008, or contact us at info@yarnygoodness.com for more info. 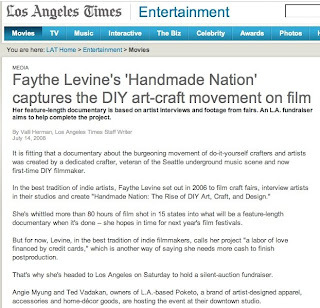 Faythe Levine and news of upcoming Handmade Nation book and documentary are featured in the cover story on Handmade Design! Buying In: The Secret Dialogue Between What We Buy and Who We Are, by Rob Walker. 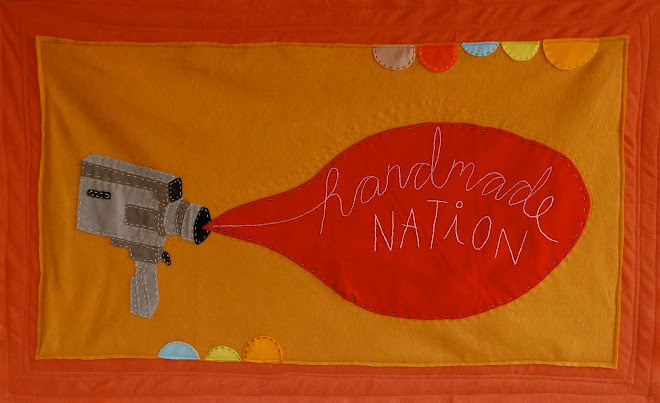 I read the end first, it is on the DIY Craft movement and features Jenny Hart, Tina Sparkles, Etsy.com, Betsy Greer and me (Faythe Levine) to name a few. When I met NY Times writer Rob Walker at the first Craft Congress in Pittsburgh in 2007 I was pleasantly surprised at his demeanor and genuine interest in the DIY Craft movement and think it is fantastic that he included it in his amazing book. After reading the end first, I then started reading from the front, and I will just say, get this book- BUY IN!